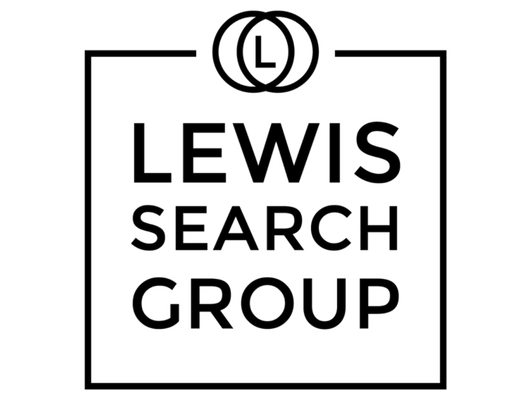 Lewis Search Group is currently recruiting to hire an experienced Legal Recruiting Coordinator for an exceptional law firm career opportunity. This role provides administrative support to the Office Manager and assists in coordination of lawyer recruiting and legal recruiting responsibilities for the office. • Types, formats, edits, finalizes and distributes documents, including memos, interview schedules, summer and new associate manuals, lateral lawyer onboarding, first day orientation schedules for lawyers and summer associates and the summer calendar. • Together with the Office Manager, updates the Firm’s recruiting website and extranet. Sends each section to the appropriate group head for revision. Proofreads the final draft to ensure accuracy, and coordinates printing. • Registers for on-campus recruiting at selected law schools, confirms interview dates with them, and reserves interview rooms as needed. • Together with the Hiring Partner and Office Manager, prepares the recruiting manual for on-campus recruiters. • Attends meeting with the Hiring Partner, Office Manager and on-campus recruiters to discuss interview procedures and recommendations. • Troubleshoots all recruiting schedule changes, and finds replacements for recruiters who become unavailable. • Whenever possible, obtains resumes of applicants from each school in advance, forwards them to the appropriate on-campus recruiters who select the students to be interviewed, then gives the names of those students to the respective schools. • Upon completion of on-campus interviews, meets with the Hiring Partner, Office Manager and recruiting lawyers to determine which students will be invited to participate in the summer program. Immediately informs other offices as to which students will and will not be invited. • Schedules office visits and hotel accommodations for invited candidates. • Arranges receptions, dinners and lunches at the Firm, on various campuses and at other locations for recruiting purposes. • Schedules on-site interviews that accommodate each candidate’s interests, needs and background. In addition, arranges a meeting between each student and their recruiter. • Greets each student upon their arrival in the office, reviews their schedule with them, escorts them to their interviews, and meets with them at the end of the day to answer any questions they may have. • Collects evaluations from all lawyers that interview each candidate on-site on the same day the interviews are held, and gives the evaluations to the Hiring Partner and Office Manager. • Keeps the Hiring Partner and Office Manager apprised of the number of offers that have been made, the number of candidates that have been interviewed from each school, and other relevant data. Sends weekly recruiting status reports to the Hiring Partner, Office Manager and corporate office. • Maintains recruiting travel files, school files, including administrative and resume/interviewing information, and recruiting reports and statistics regarding offers and acceptances for on-campus recruitment. • Enters, updates, and ensures the accuracy of all data in the recruiting database. • Together with the Office Manager, updates and prepares the extranet for distribution to all new associates and summer associates. Together with Human Resources, collects and processes all paperwork. • Together with the Office Manager, responds to inquiries from incoming associates and ensures the timely completion, receipt, and processing of all orientation forms as required by law and/or the Firm. • Gathers information on potential client conflicts from all new lawyers and summer associates; submits requests for conflicts checks to the Firm’s Conflicts department; and sends completed conflicts checks reports to mentors/recruiters for review. • Together with the Office Manager, researches and completes the National Association for Law Placement form and other recruiting surveys as needed. • Together with the Office Manager plans and coordinates the summer program for current law school students. • Together with the Office Manager attends meetings of, and works closely with, the Summer Associate Program Committee and its local Chairs. • Researches and reserves sites for social events for the summer program. • Prepares informational materials for distribution via the extranet to incoming summer associates (e.g. housing, interests survey). • Prepares the summer program picture book. • Prepares the Summer Associate Manual in advance of the arrival of the summer associates, and distributes it to them, their advisors, and the Summer Program Committee. • Coordinates the first-day orientation program. • Prepares and distributes memoranda to all personnel regarding the summer program. • Tracks and coordinates all work assignments received from lawyers for the summer associates. • Prepares summary reports of summer associates’ work for the Summer Associate Program Committee. • Coordinates completion of summer associate evaluations by lawyers. • Enters, updates, and ensures the accuracy of all data regarding summer associates in the recruiting database, including daily updates on summer associates’ projects received from the Summer Associate Program Committee and the summer associates themselves. Enters all summer associate reviews into the database and generates weekly reports for the Summer Associate Program Committee. • Proofreads all documents, correspondence, etc., to ensure accuracy of copy, grammar, punctuation and syntax. Checks to ensure accuracy of jobs sent to duplicating service. • Maintains recruiting files and works with Human Resources on pending personnel documents. • Oversees all unsolicited resumes and coordinates their entry into the write-ins database. • General administrative assistance to the offices as needed. • Three or more years related experience and/or training; or equivalent combination of education and experience. • Bachelor’s degree (B.A.) from four year college or university. Direct hire! Candidates with legal recruiting, general recruiting or HR experience will be highly considered. Interested candidates should apply by submitting their resume in Word (NOT PDF) via job posting or www.lewissearchgroup.com. Competitive compensation/benefit package for the right candidate.